The Vodafone Arena is as modern as modern stadiums come. 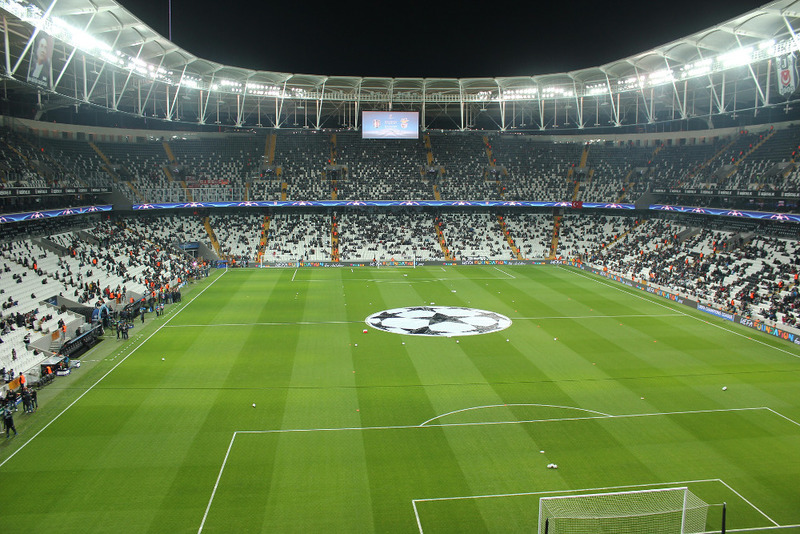 Combine that with the passion of the Besiktas fans and one of the most stunning stadium locations in the world, and you’ve got an unbeatable experience. 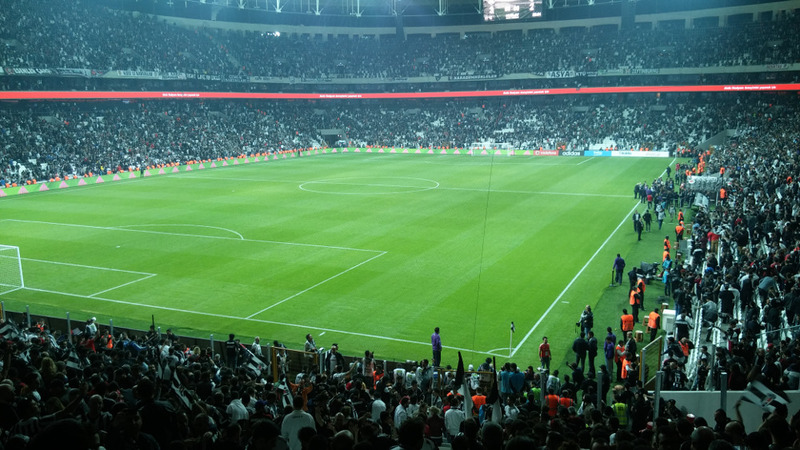 The Vodafone Arena is the recently opened new stadium of Besiktas JK. It replaced Besiktas’ old Inonu Stadi, which had been the home of the club since 1947, but lacked modern facilities. While Inonu Stadi underwent a major renovation in 2004, the club kept investigating the possibilities for a larger redevelopment or construction of a complete new arena, but the stadium’s protected status as a historical monument delayed the plans. Finally, in 2013, the go ahead for a new stadium was given, leaving only the protected facade in place. It took three years to build the new stadium, and on 10 April 2016 the Vodafone Arena officially opened with an inauguration ceremony. The first match was played a day later, a league match between Besiktas and Bursaspor (3-2). In December 2016, two bombs exploded outside of the stadium after a Besiktas game, killing 38 police officers and 8 civilians. The Vodafone Arena is located slightly north-east of Istanbul’s city centre on the banks of the Bosphorus next to Dolmabahçe Palace. 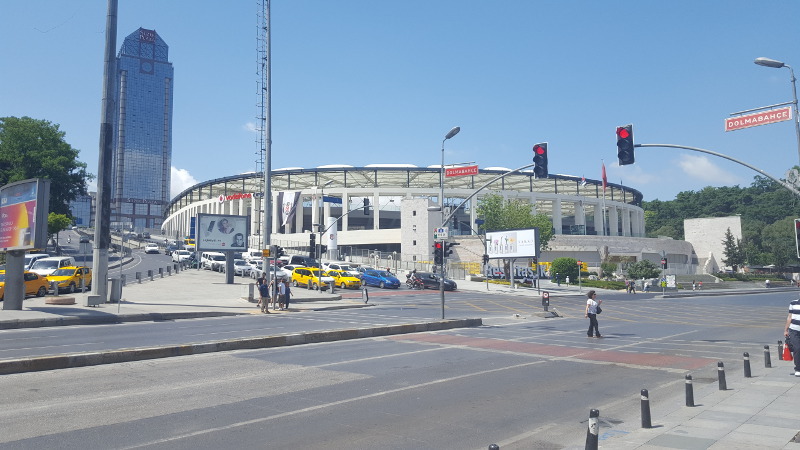 It lies about 2.5 kilometres from Galata bridge and 1 kilometre from Taksim Square, from where it is a 15-minute walk to the stadium. Taksim Square can be reached by metro (line 2), historic tramway 5, and is served by many buses and dolmus minibuses. Boats from the Asian side of the river arrive at Kabatas, from where it is a 5-minute walk to the stadium. Kabatas is also served by (modern) tram line 1, which passes through Istanbul’s historic Sultanahmet area. The Vodafone Arena is located in the central Beyoglu area, which is packed with shops, bars, cafés, and restaurants. You will have no trouble finding anything of your liking near Taksim Square or Istiklal Avenue. This also means that there is an enormous amount of hotels to choose from near the stadium. If you’ve got money to spend, you will be very pleased to know that the The Ritz-Carlton, Swissotel, and Ceylan InterContinental are right next door to the stadium, but rest assured that there are many cheaper alternatives a few more minutes walking away. 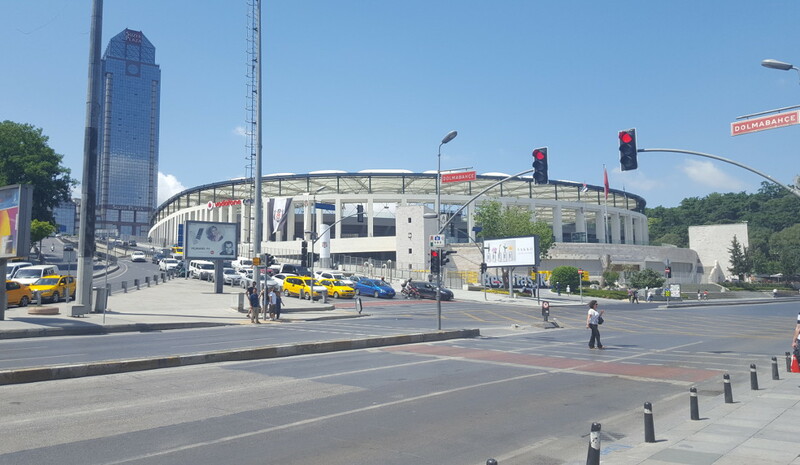 Click here for an overview of hotels near the Vodafone Arena and here if you wish to explore options in other parts of Istanbul. Tickets for Besiktas games can be bought online through the PASSO portal. As with all matches in Turkey, you need to possess a Passolig card to be able to buy tickets and enter the stadium. In the case of foreigners this is a pre-paid card. You can apply for a card on the Passolig website. You can find a seating plan here. BJK.com.tr – Official website of Beşiktaş JK. Istanbul.com – Istanbul city guide. Istanbul-ulasim.com.tr – Istanbul metro travel information.